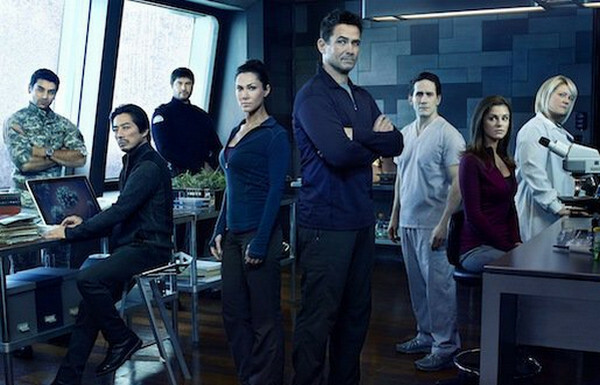 “Helix“, the new series of “SyFy” is started and I think that it is simply great! I can’t remember a pilot with such a good mix of drama, tension, action and romance at the same time. First of all the cast of the show is simply grea I love Hiroyuki Sanada and I think he is simply great in this role. Misterious, devious, good and bad at the same time, Hiroyuki is the best in this first two episodes. I don’t really know if he is a good character or if he is the main antagonist. I don’t know and this incertitude is killing me now. 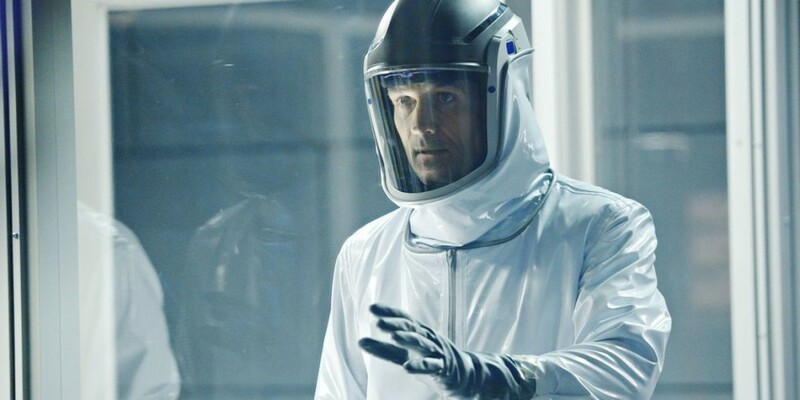 On the other side Billy Campbell as the main protagonist is totally different. He is a scientist, he loves is work and his brother, even if he had an affair with his wife. And the wife? Can we talk about the interpretation Kyra Zagorsky? She is great and her character is so interesting that I cannot understand what role she will play. And one last question, who Alan will choose? His wife or Sarah? Sarah (Jordan Hayes) is a good character but at the moment, she is only pretty, the only interesting thing about her is her shivering hand. 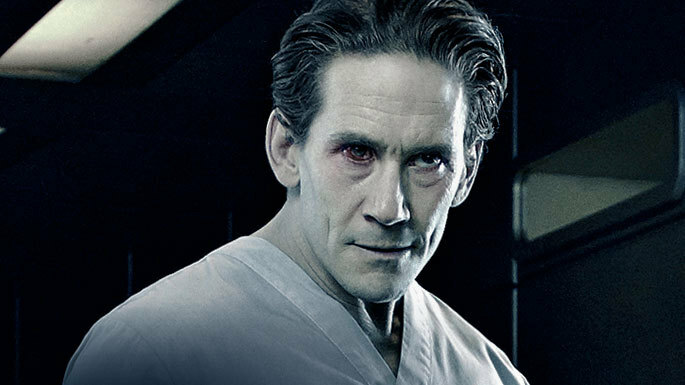 Ok, Peter (Neil Napier) is my favourite. I don’t know if he is evil or not, even if he attacked Julia, and I really would like to find out what the “White Room” is. The virus is so misterious that I really want to know what kind of virus is. Peter is so ingenious that I cannot think that he is contaminated. This virus is too hard and too strange that you want to know what is it. And what about the monkeys? What they did with them? 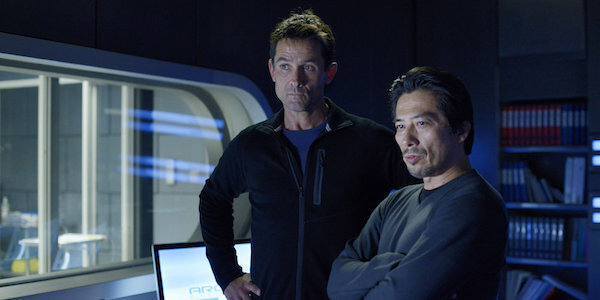 They are too strange and why Hiroyuki didn’t tell them about the monkeys? This is odd, too odd. 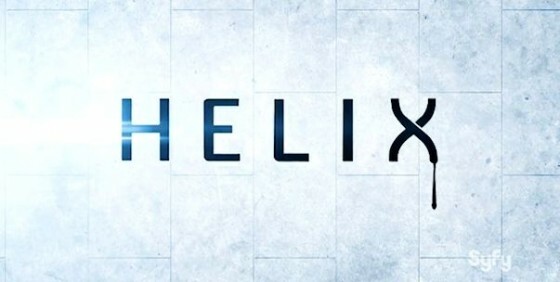 So, in my opinion you have to watch the first two episodes of Helix because it’s a perfect cocktail of drama, mistery and science and after watched it, you really would like too watch more episodes of it. And if you didn’t see the first 15 minutes of the series, go there and watch them.